Traditionally the use of gold alloy substructures was the key to successful restorations. 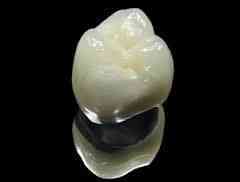 In modern day dentistry All-Ceramics have given us another dimension that is more aesthetically pleasing. Nevertheless there will always be a need for Metal Ceramics because of their exceptional masking properties and their favourable wear characteristics.